Slip through the urban traffic thanks to AYGO's compact design. It's just 3.4 metres long, so parking is easy. And with a tiny turning circle, you have all the agility you need for swift lane changes, u-turns and more. Bold wheel-at-each-corner gives AYGO surprising interior dimensions, with 164 litres of storage, and headroom for people over six feet tall. Available with three or five, there's plenty of space for friends and family. The AYGO is different. Made by Toyota, it's utterly reliable, with legendary car build quality that goes into every detail. Servicing costs are low too – from just £99 at Toyota Centres. And because the manual shift version emits less than 100g/km of CO2, there's no car tax to pay. Top that off with a 5 year standard Toyota warranty, and you have a car that's almost effortless to own. *All Toyota Aygo Ice lease car offers are based on Car Leasing, 10,000 Miles pa with stated number of rentals in advance followed by 47. 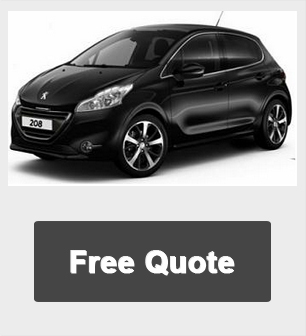 Cheap Business contract hire or Personal leasing special offers. 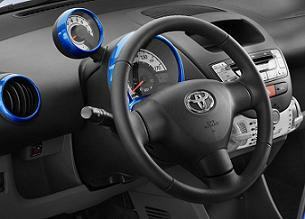 For more information or prices on the Toyota Aygo Ice Edition cheap lease car deals please call us on the below number.